The MTN-Qhubeka team won a lot of hearts during this year’s Tour de France with the impressive performances from their riders, which helped give the fans a greater understanding of the team’s culture and ethos. But they’re not the only Africans enjoying their time in Europe. The Ethiopian Cycling Academy, set up to support and develop the potential of young African riders who don’t have the means to practice the sport at the highest level, has put together a five-man amateur squad of Ethiopian riders – Temesgen Buru, Mebrahtu Biru Goytom, Hailemelekot Hailu, Kbrom Hailay Giday and Getachew Atsbha – who will compete in Europe for three months of racing and training. The Academy is hoping to build up similar programmes to those in South Africa and Eritrea. The youngsters have had plenty of additional motivation this year. 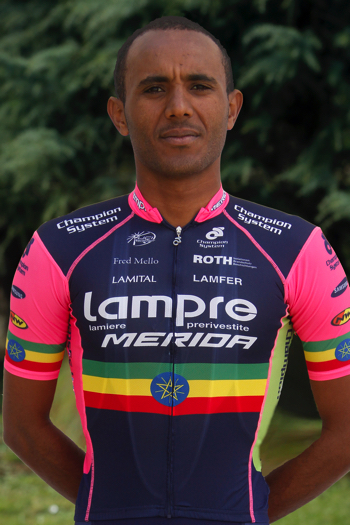 Compatriot Tsgabu Grmay became the first Ethiopian to appear in a grand tour when he rode the Giro d’Italia for Lampre-Merida. The team also attended a stage of the Tour de France and met the riders from MTN-Qhubeka, among others! The team has been based in the Basque town of Idiazabal and has contested a schedule of elite races in the surrounding area as well as prestigious events such as the Volta a Valencia. In addition, the riders have attended classes in English, Spanish and IT, while its accompanying technical staff have worked with European sports directors and trainers. 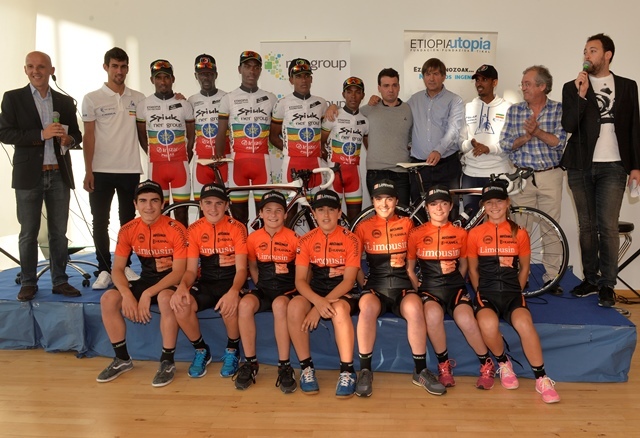 The Academy project was made possible thanks to the support of the Ner Group (main sponsor) and that of other brands and institutions: Irizar, Spiuk, Orbea, EuskoRot, Polar, Le Coq Sportif, Godoy, Ethiopia Utopia, Idiazabalgo Udala, Council of Gipuzkoa and Oriako Txirrindulari Eskola of Tolosa – which have all understood the importance of providing this sporting opportunity for young Africans.